Assistant Treasurer Bill Shorten has indicated that states who contribute to the delay of national reforms should not expect to receive payments from the Commonwealth. Prime Minister Julia Gillard has warned of the possibility of the Commonwealth withholding $450 million in reward payments for the states and territories that are stalling on reforms for Occupational Health and Safety Laws ( OHS Harmonisation).The failure of the states to implement the OHS laws after a year of delays, was costing the country approximately $43 million a week. Shorten stated that Victoria and Western Australia had made it disturbingly clear that they wanted no involvement in the national OHS harmonisation.Shorten continued by stating that you can’t be a part of the nation of Australia for some aspects but opt out other times for “petty political reasons”. Attorney-General Nicola Roxon stated that state governments cannot sign off on certain agreements and then not live up to their end of the deal. Roxon believes that the Commonwealth is completely justified in refusing to make reward payments if aspects of national agreements were not met . NSW Premier Barry O’Farrell has accused PM Gillard of singling out states lead by coalition governments. 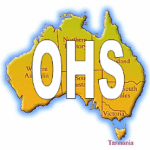 Since July, 2008 the Commonwealth, states and territories all agreed to a harmonisation of OHS laws. The laws were expected to be implemented by December 2011 but various state governments delayed the process.